This Film reference brought to you by our friend John G! Thank you! 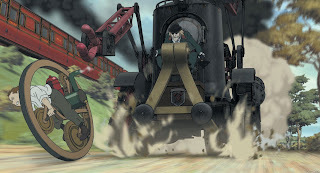 Reverse Reference - General Grievous's wheel bike resembles much of the design of James Ray Steam's wheelbike.